All Roads Lead to Rome: The History of the Appian Way is an e-book that offers roughly forty-five pages of interesting Ancient Roman history, accompanied by illustrations. 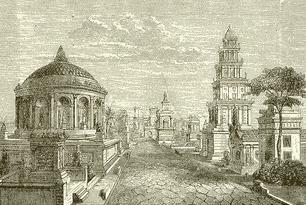 Appius Claudius Caecus initiated the work on the Appian Way in 312 B.C., the road that connected the city of Rome to the port city of Brindisi on the heel of the "boot" of Italy, facing Greece. 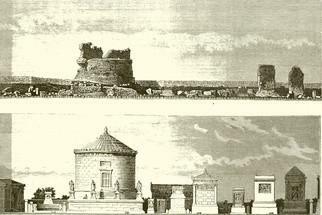 Part of the road led to Taranto, another major port city on the "instep" of the "boot" of Italy. Before reaching those two ports, the Appian Way cut through the farmland that supplied the city of Rome with much of their wine and fresh produce. The road made sense back in 312 B.C., just as roads to assist commerce make sense today. The Appian Way was also used to move armies and supplies into the area south of Rome, where, initially, there were tribes who waged war on Rome. After the area was conquered, some enemies of Rome used The Appian Way to quickly move their attacking armies from one Roman town to another, leaving plundered, burning towns, and bloody bodies in their wake. This slight book is an interesting read. It joins together events and information from diverse time periods to create a "biography" of a feat of civil engineering. 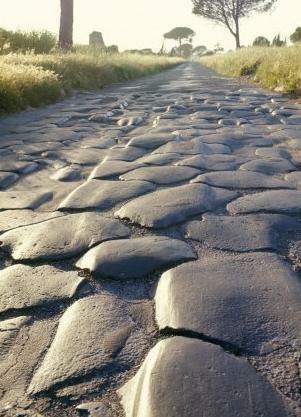 There is a quick history of road systems up to the Roman time (Egyptian and Persian), then we learn of The Appian Way's construction, use, misuse, and its life after the fall of the Roman Empire. The stones one sees on the old Appian Way are only a lower level of the road, the waterproof cement having all deteriorated after 2000 years. 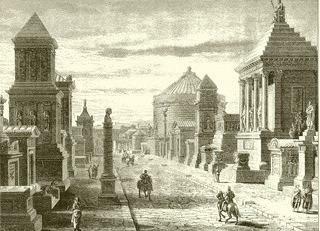 At times I was frustrated when the book touched on something unique and fascinating, but did not elaborate, such as the "portable villas" some wealthy travelers had built by their retinues for overnight stays along The Via Appia. There is some awkward English in the book, such as "...you will learn about the Appian Way like never before, in no time at all." There are errors, such as "the Roman history Livy" instead of the correct "the Roman historian Livy"; and a speech that "spurned" people, rather than correctly "spurred" them on a course of action; and the Via Appia goes from Rome to Brindisi, not to Hydruntum. The source references embedded in the text are distracting, and would have been better left out, or footnoted like other books, with the footnotes hyperlinked to the references at the back of the e-book. I did enjoy the quotes from ancient Roman and Greek texts. They are a wonderful addition to the book. There is no doubt of the scholarship that backs up the text; the editors have clearly searched public sources for all they could legally borrow to create this brief book, including the open-source images that illustrate the text. If you are not keen on Internet-surfing, then this book could be for you. 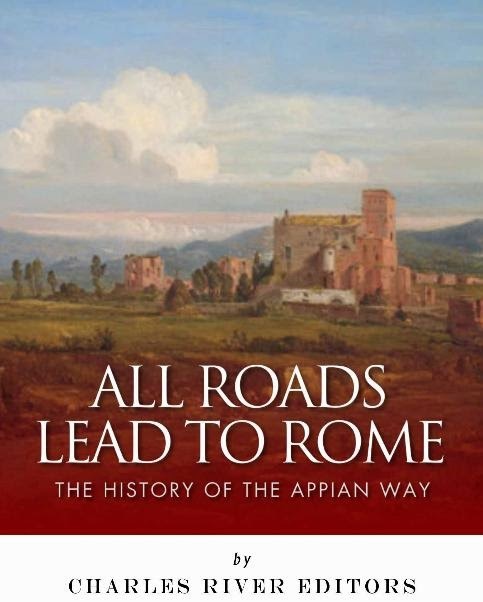 All Roads Lead to Rome: The History of the Appian Way chronicles the construction and history of Rome’s most important road. 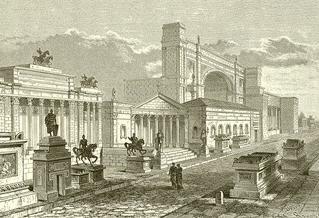 Includes ancient accounts of the Appian Way's history and construction. Explains the Appian Way's role during the Second Punic War and Spartacus' rebellion. Includes a bibliography for further reading. Includes a table of contents. 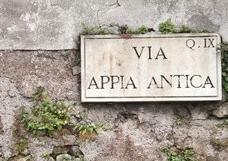 The graves and tombstones and mausoleums along the Via Appia are not mentioned in the book. All Roads Lead to Rome is a book from Charles River Editors. 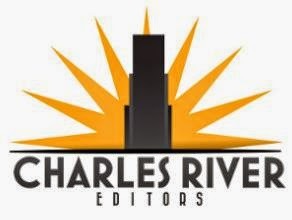 Charles River Editors is a digital publishing company that creates compelling, educational content. In addition to publishing original titles, we help clients create traditional and media-enhanced books. Wikipedia, the on-line, user-built encyclopedia, has a wonderful page on The Appian Way, which includes many of the same images as in this book, and much the same information. If you click on the hyper-linked items in the Wikipedia article, you go to other articles that offer more in-depth information. If you use the links at the bottom of the article, you can learn even more about The Appian Way, for free. This review is by Candida Martinelli, of Candida Martinelli's Italophile Site, and the author of the cozy-murder-mystery novel AN EXTRA VIRGIN PRESSING MURDER, and the young-adult/adult mystery novel series THE VIOLET STRANGE MYSTERIES the first book of which is VIOLET'S PROBLEM.